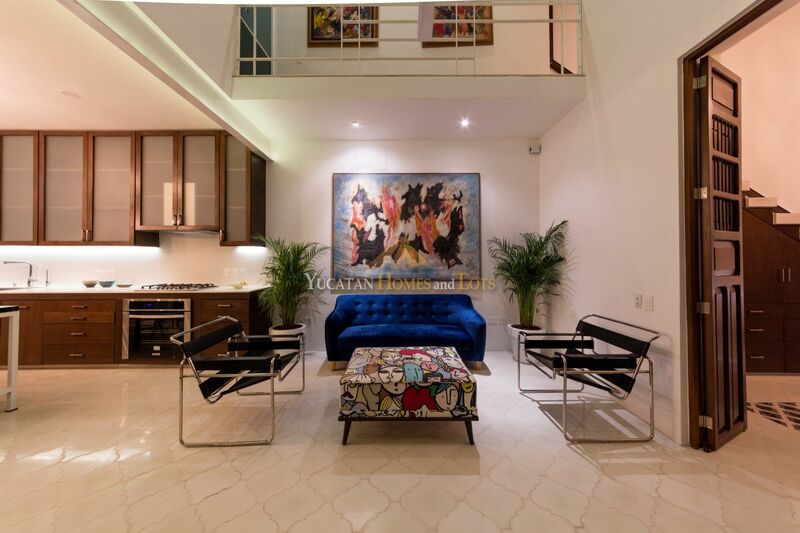 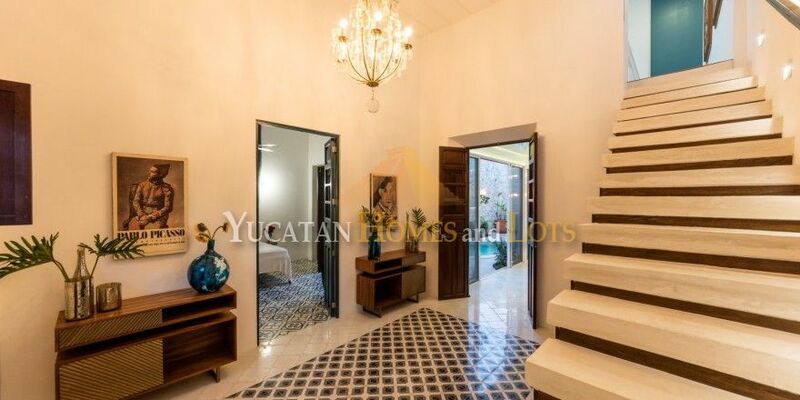 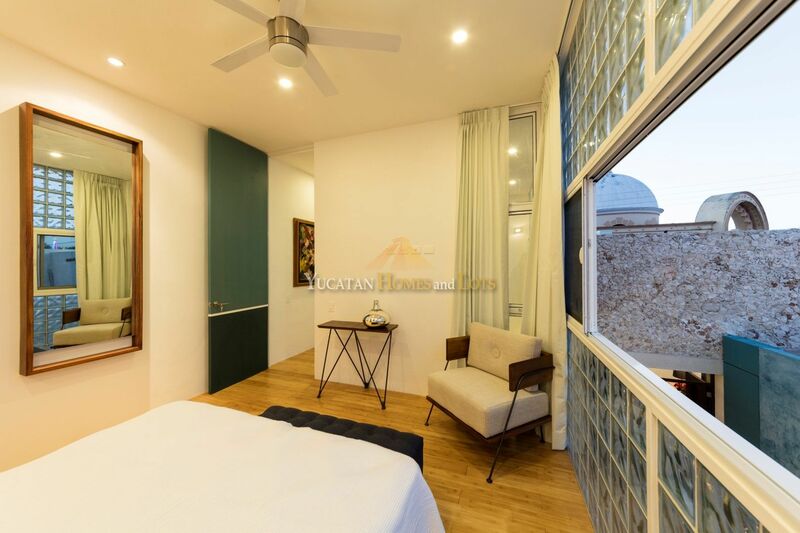 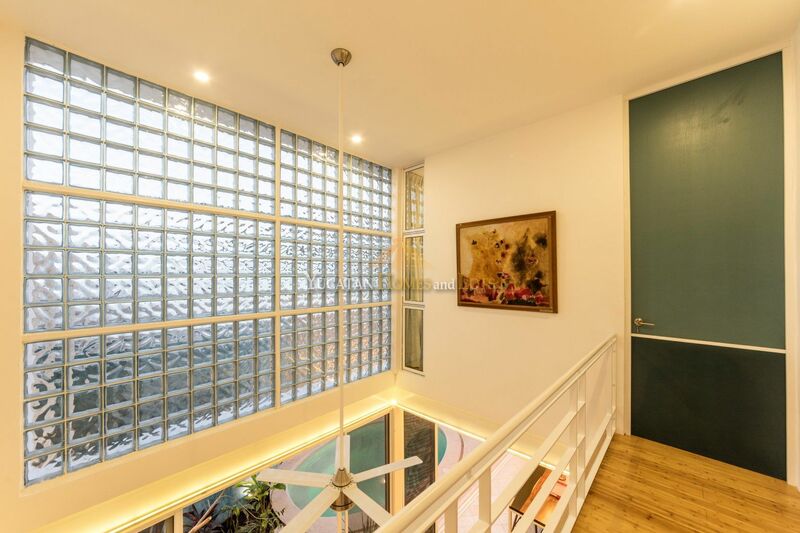 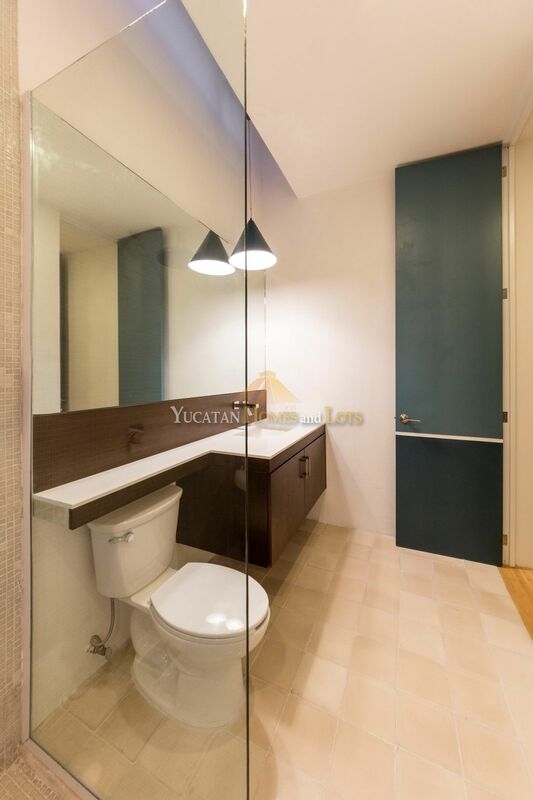 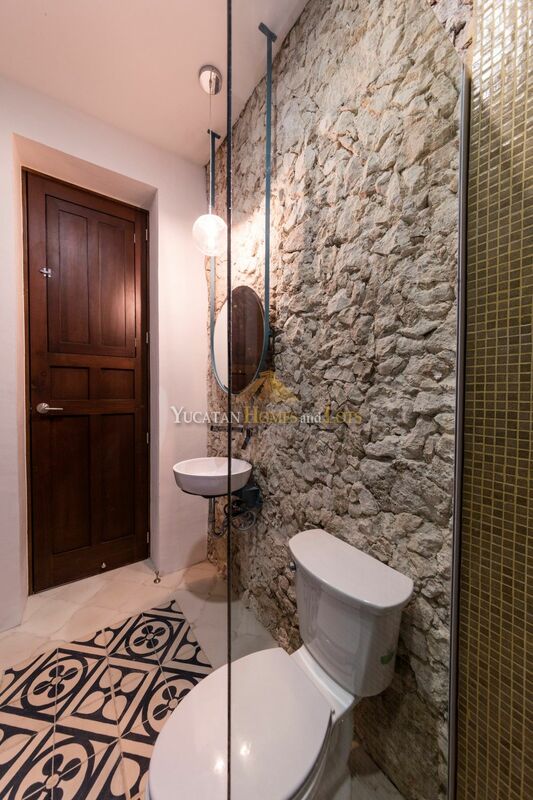 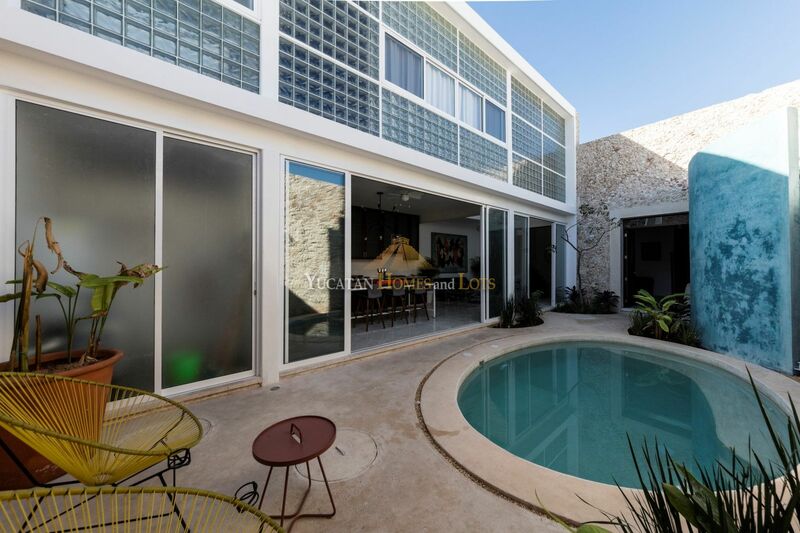 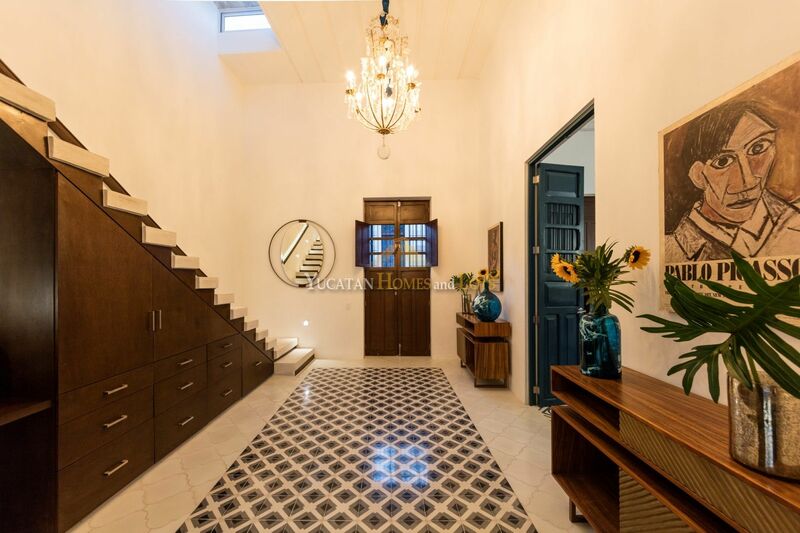 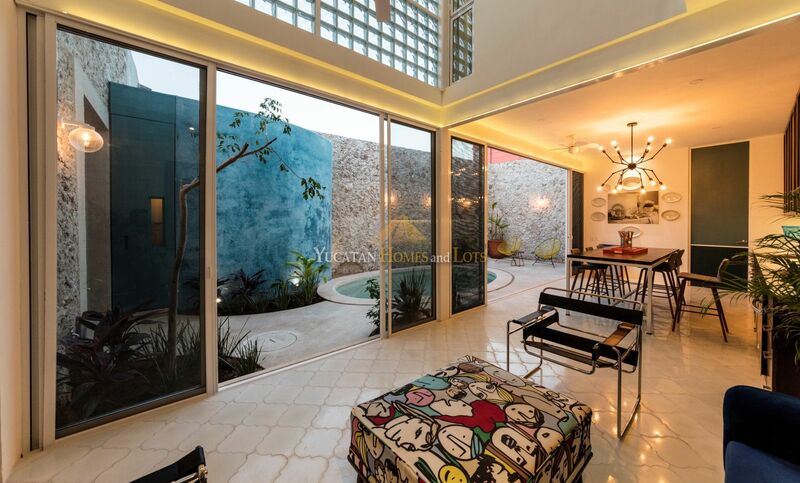 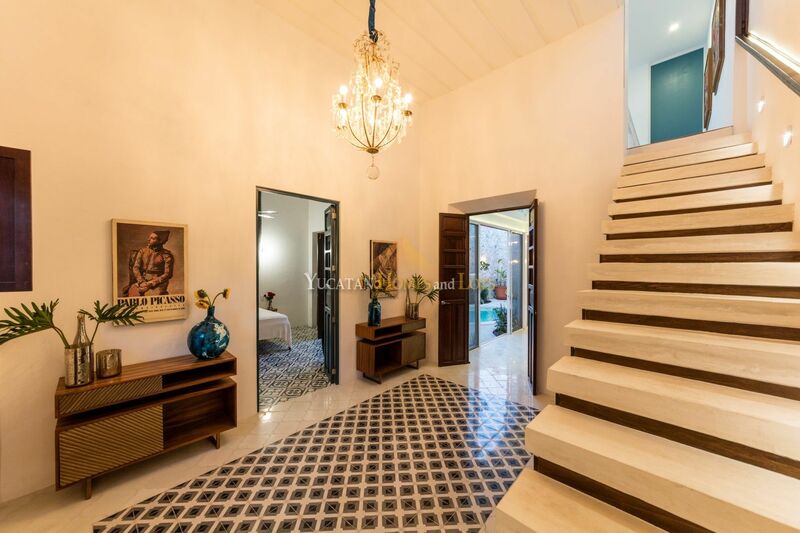 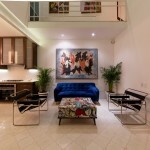 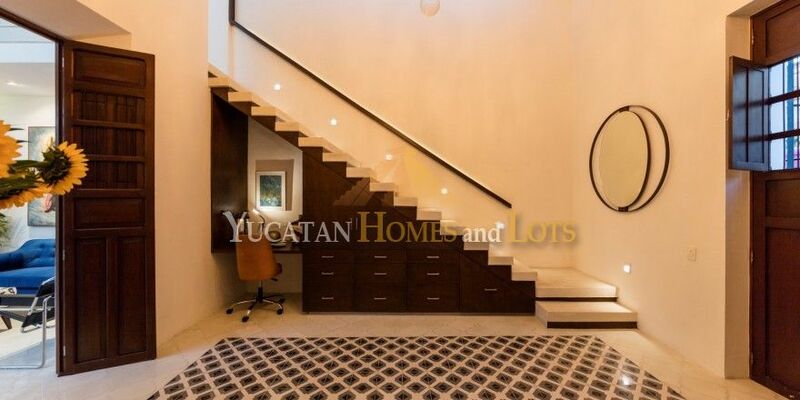 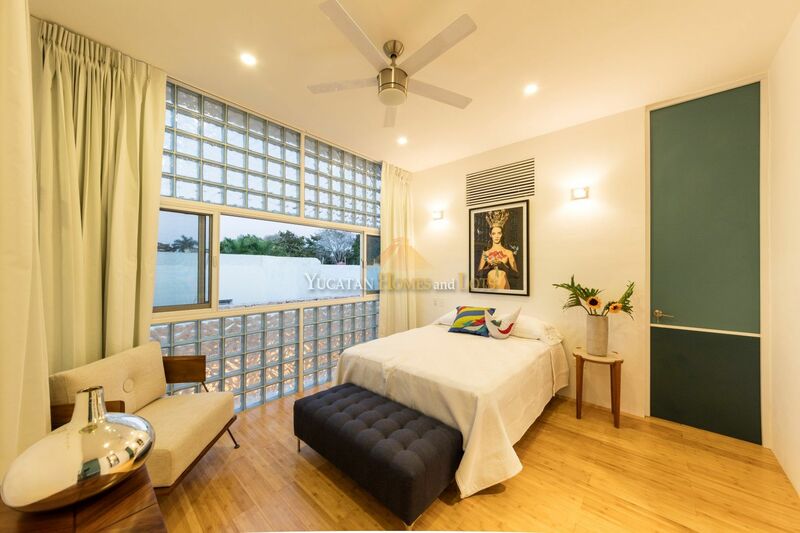 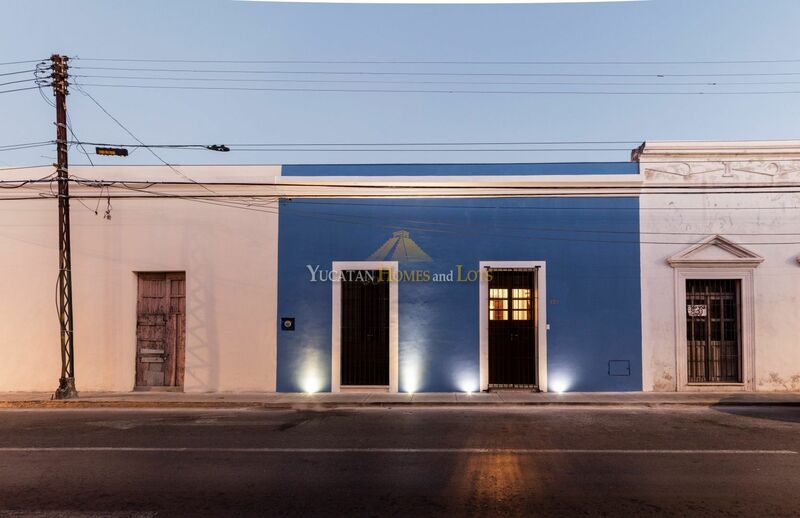 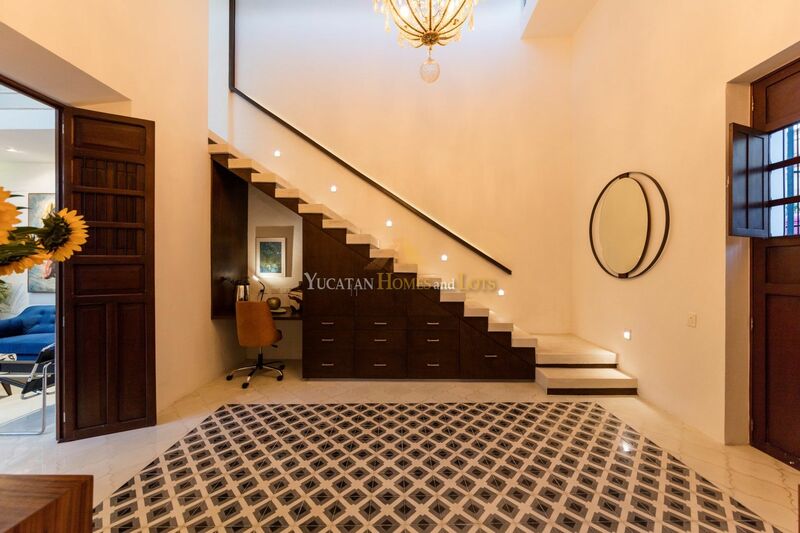 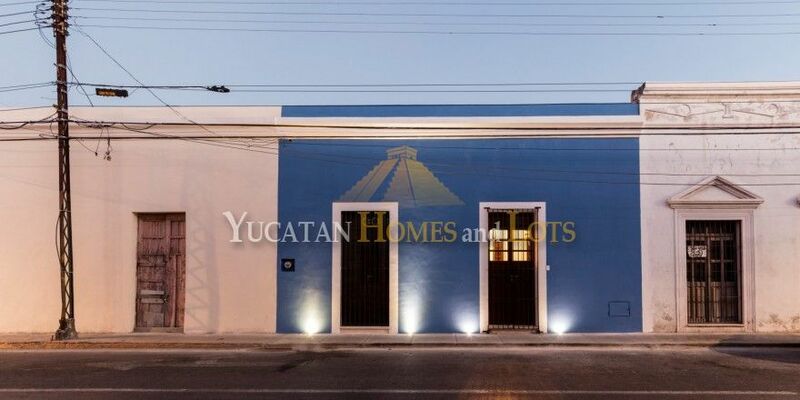 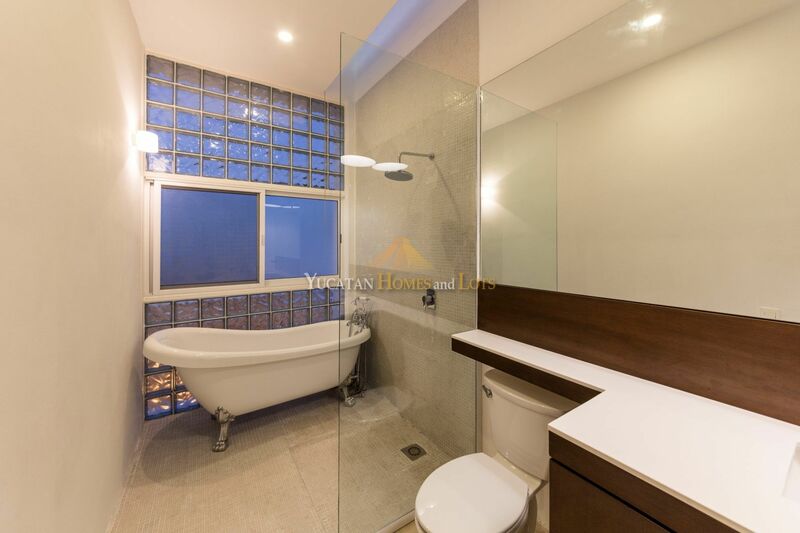 This modern home for sale is located in the much sought-after district of Santa Ana, close to both the center of historic Merida and Paseo de Montejo, the tree-lined boulevard with banks, hotels, restaurants and museums. 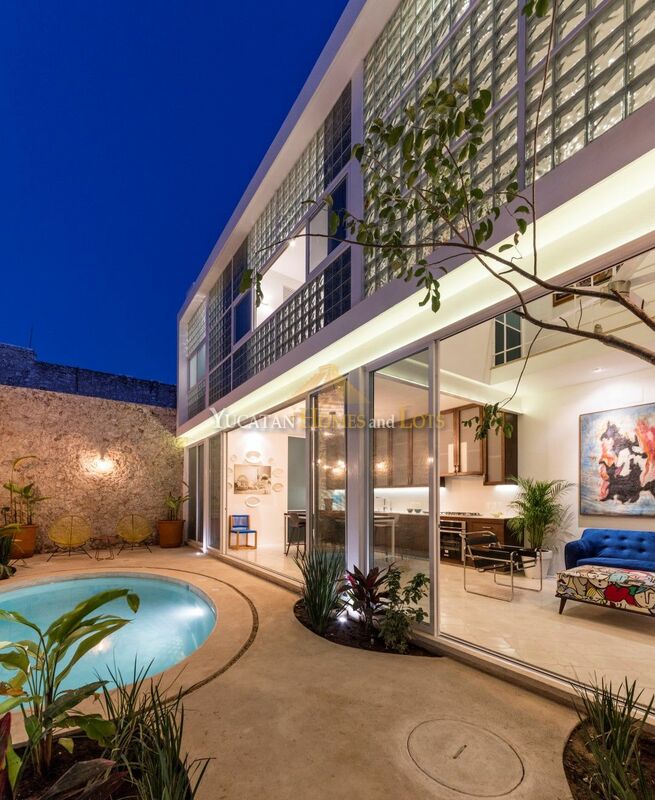 Architected by Estilo Arquitectura, an award winning architectural firm, this home is built by local artisans with local materials with a modern sensibility. 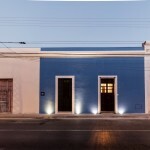 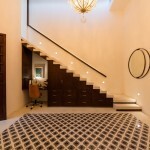 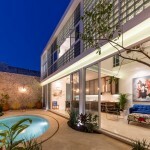 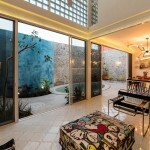 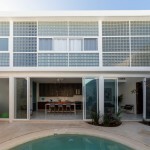 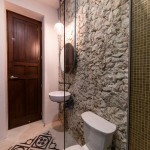 Walls of windows and glass bricks bring filtered light into both floors of this beautiful renovated home in Merida. 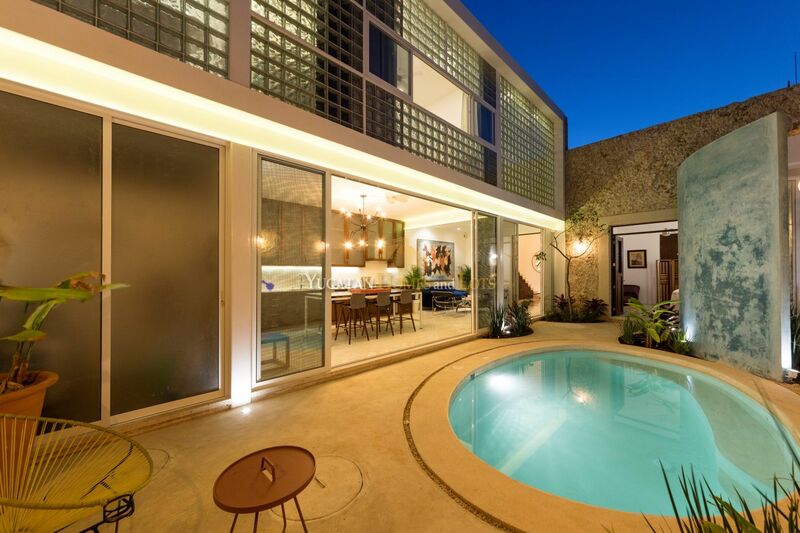 On the main floor, the original front two rooms were renovated to create a living, dining and kitchen area that opens on to a patio surrounding a filtered swimming pool, perfect for cooling off on a hot day. 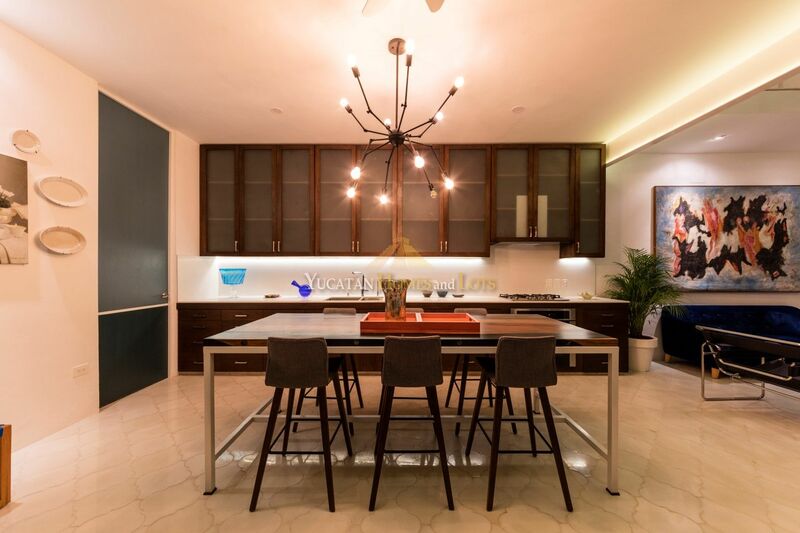 This space, which also serves as a family room, has custom-built cabinetry. 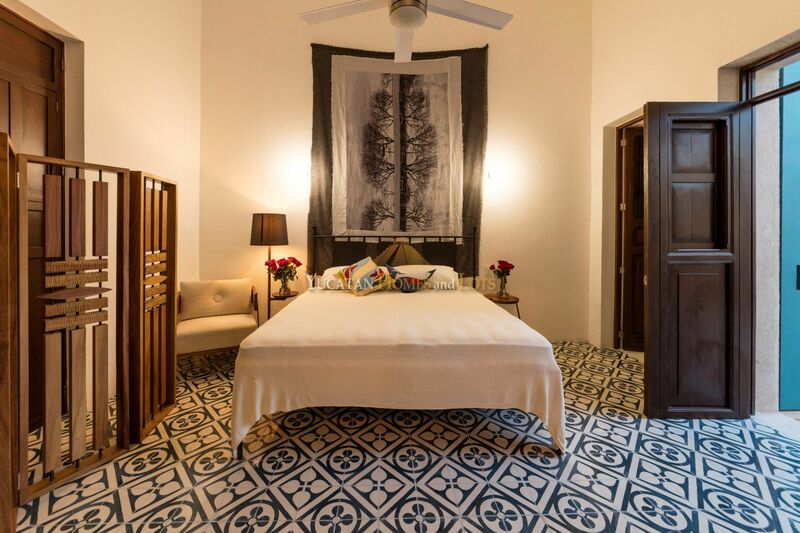 Downstairs, one of the original two rooms has been made into a bedroom with tall ceilings… a perfect guestroom! 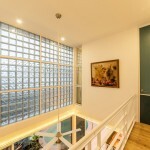 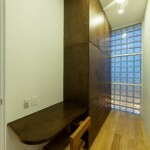 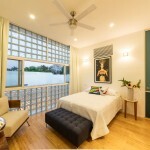 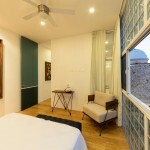 Upstairs, the main bedroom is flooded with light and a view of the city, facing north so it never gets direct sunlight. 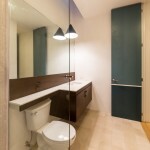 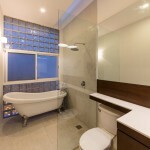 The accompanying master bathroom features a beautiful soaking tub! 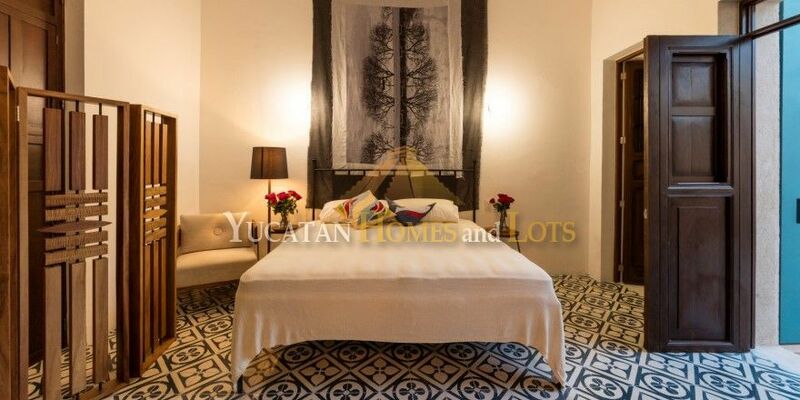 Local pasta tiles make striking floors throughout the house, surrounding by polished cement. 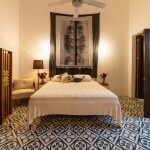 The bedrooms are air conditioned, and there are ceiling fans throughout the house. 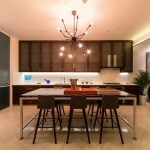 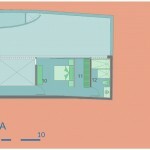 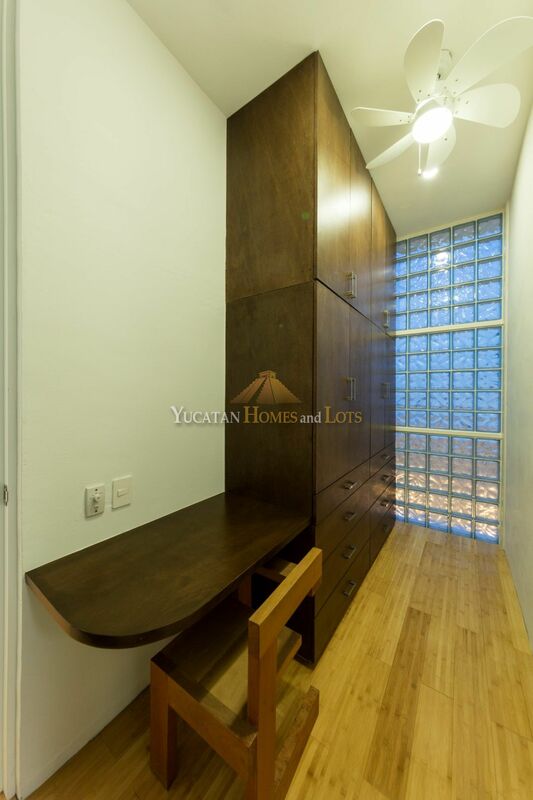 The kitchen comes completely equipped and various accessories are included. 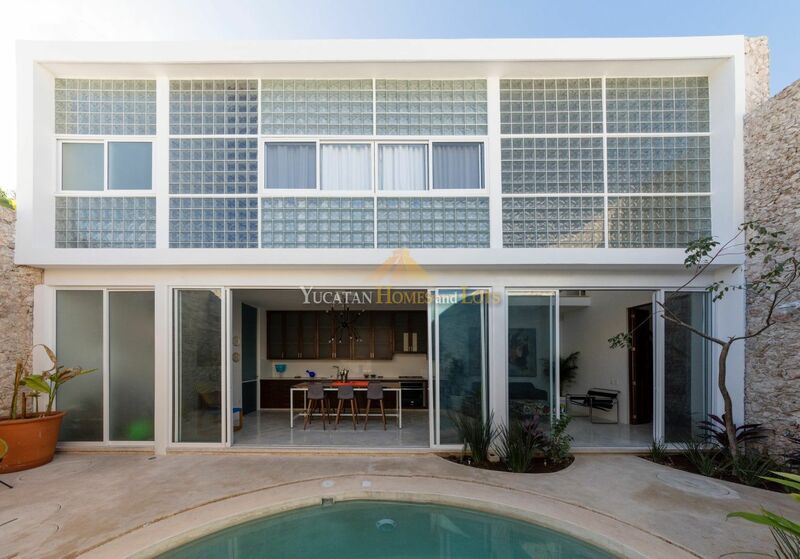 The house features a pressurized water system with water softener, as well as an osmosis purified water system. 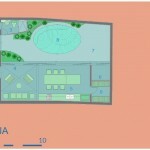 There is also a automatic watering system for the garden. 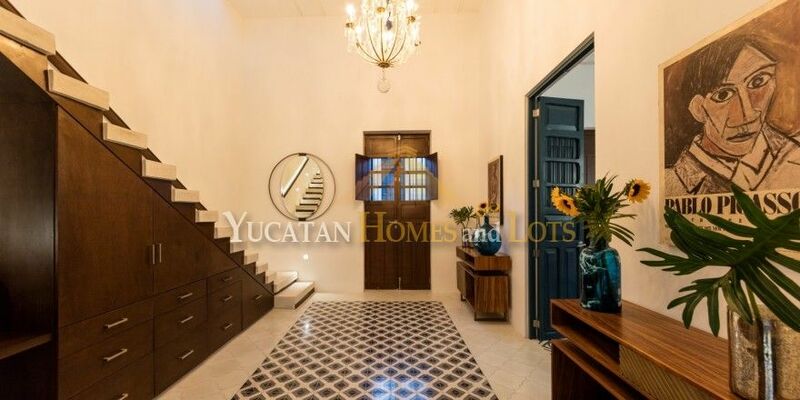 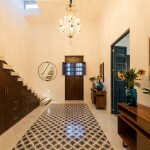 This house is completely modernized, while still maintaining original vigas in the ceiling downstairs, original tropical hardwood doors and some original mamposteria walls. 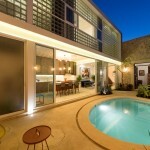 This house won’t last on the market for long!